I bought this one. :-) It is absolutely stunning in person. 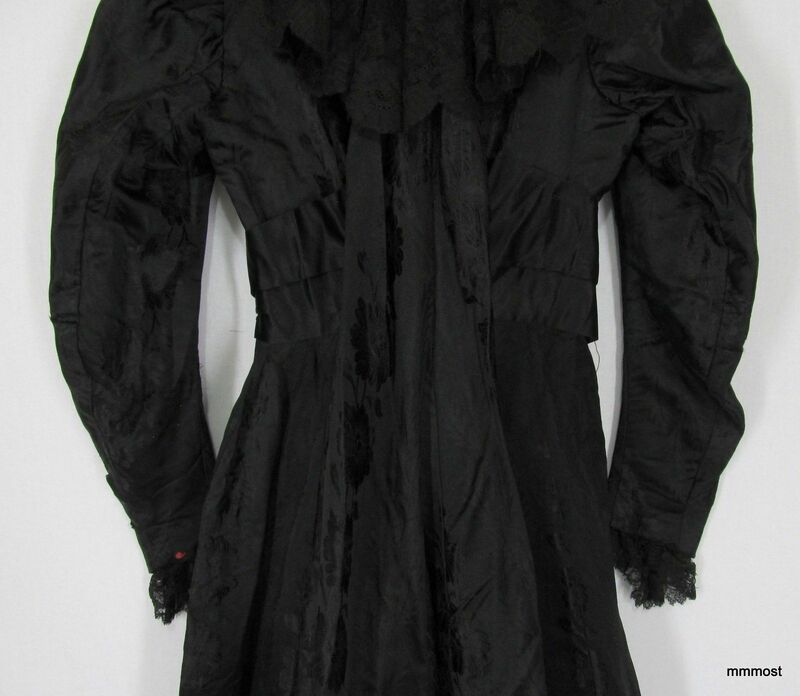 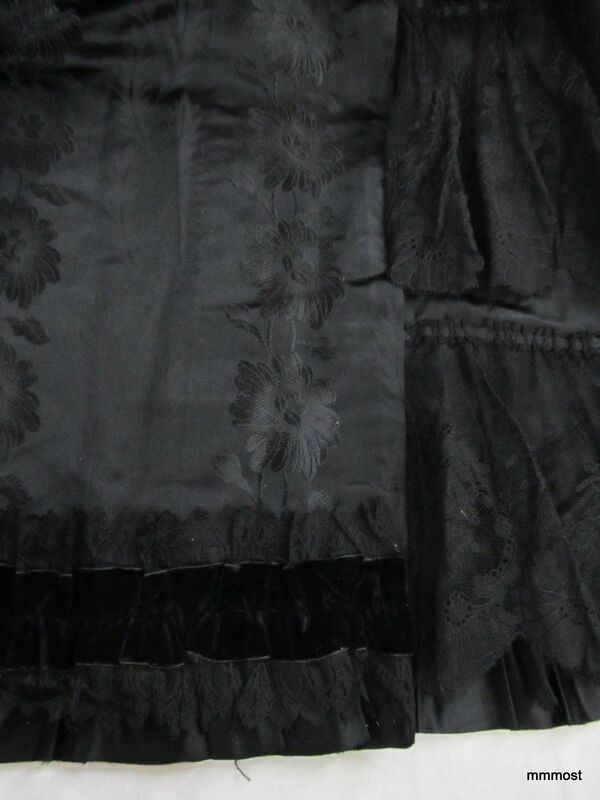 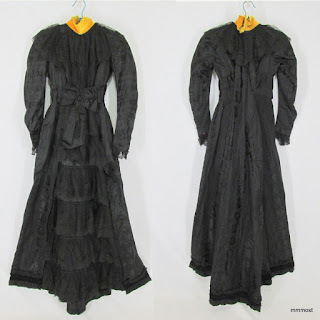 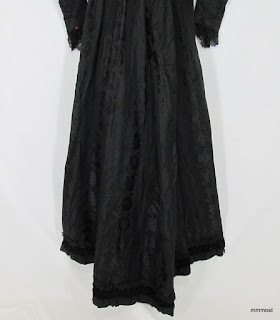 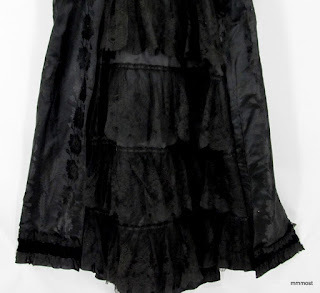 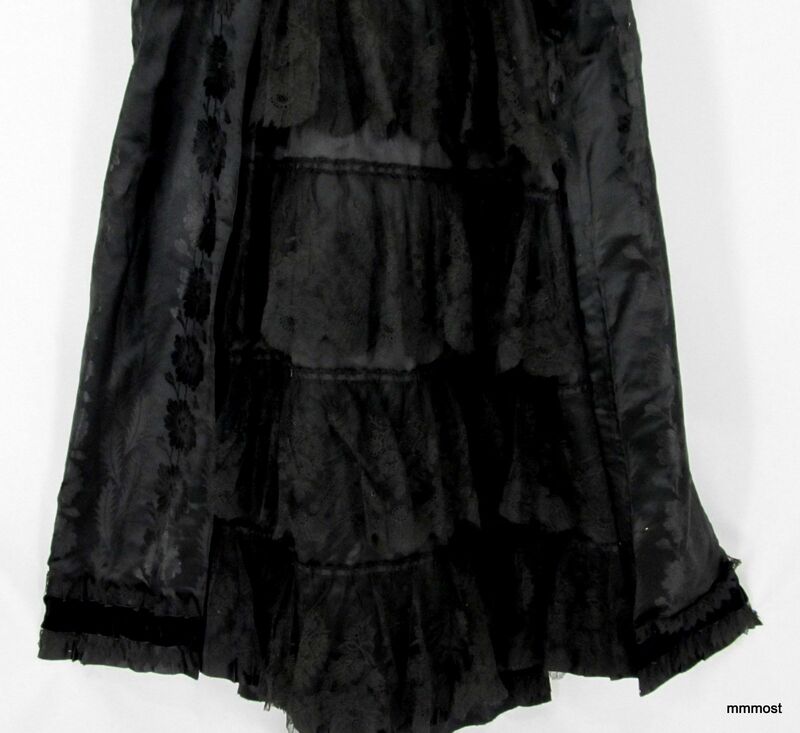 However, it is not a mourning gown - or wasn't when it was last used. The richness of the brocade, the ridiculous amount of lace, and the bright orangy yellow velvet collar mean this was most likely just a very elegant tea gown. 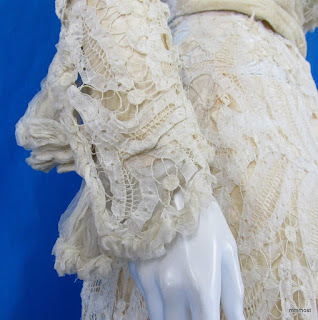 Lace on the cuff. 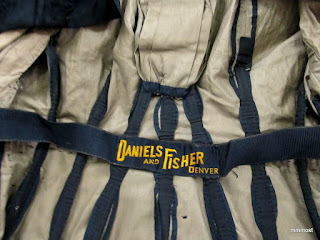 It's very crudely based on - making me think it might be a later addition. 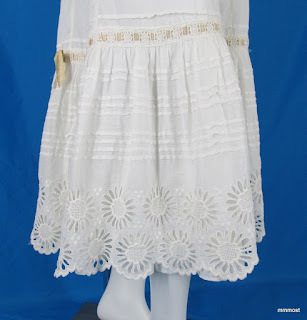 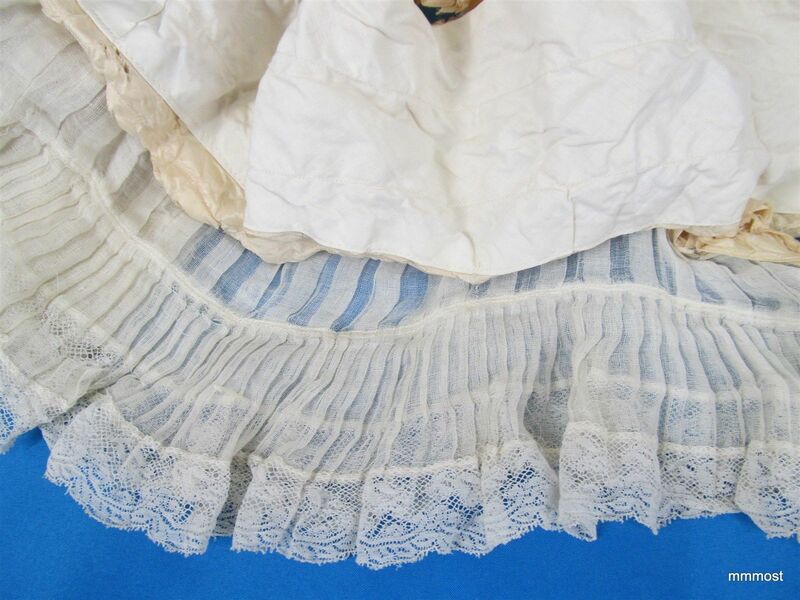 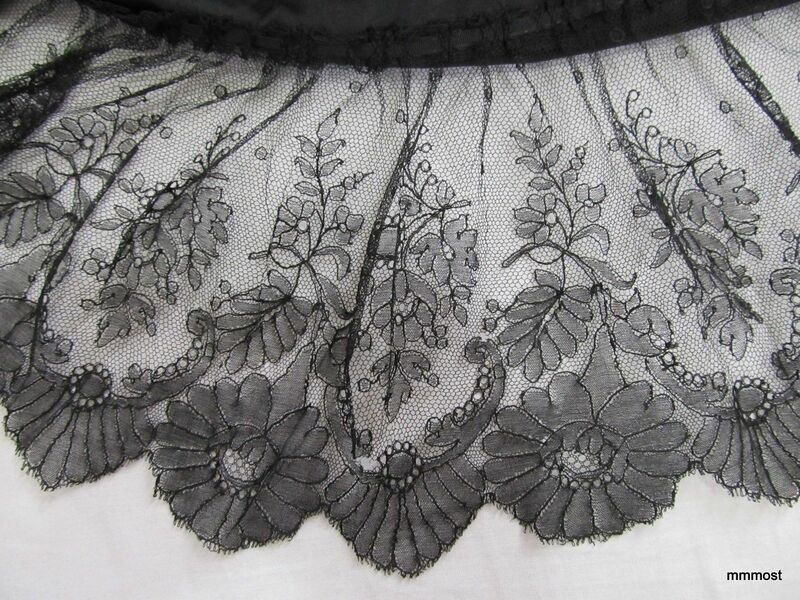 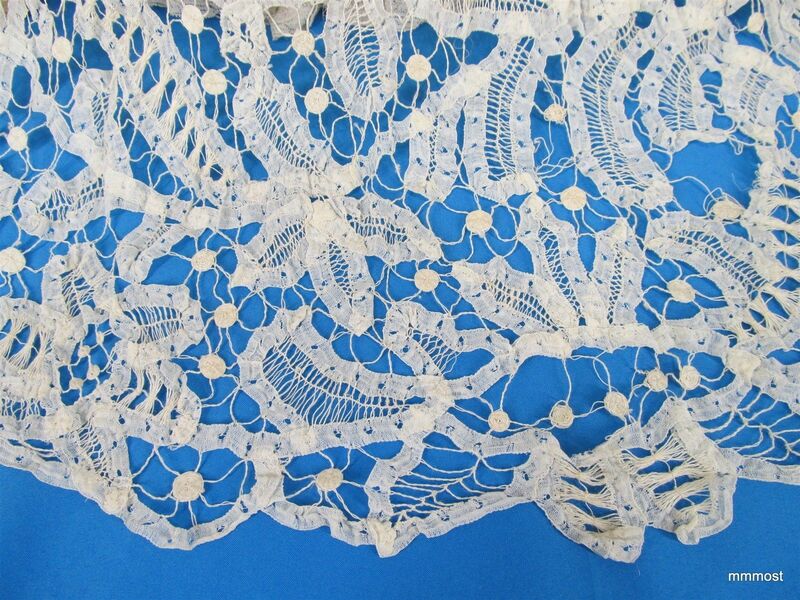 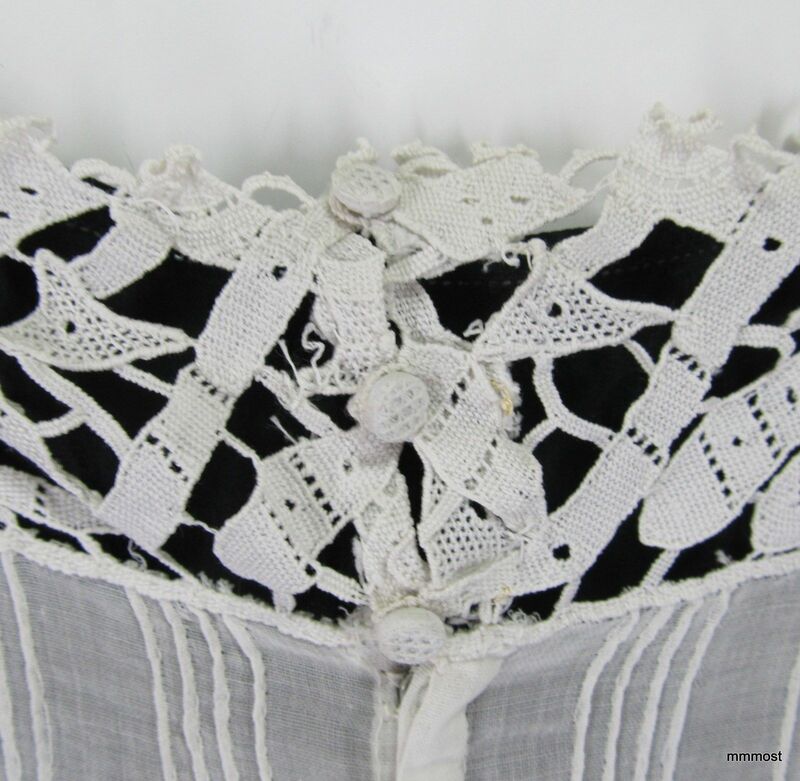 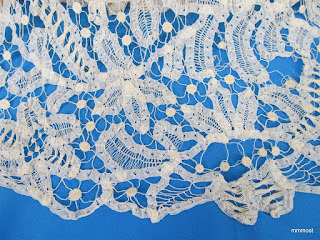 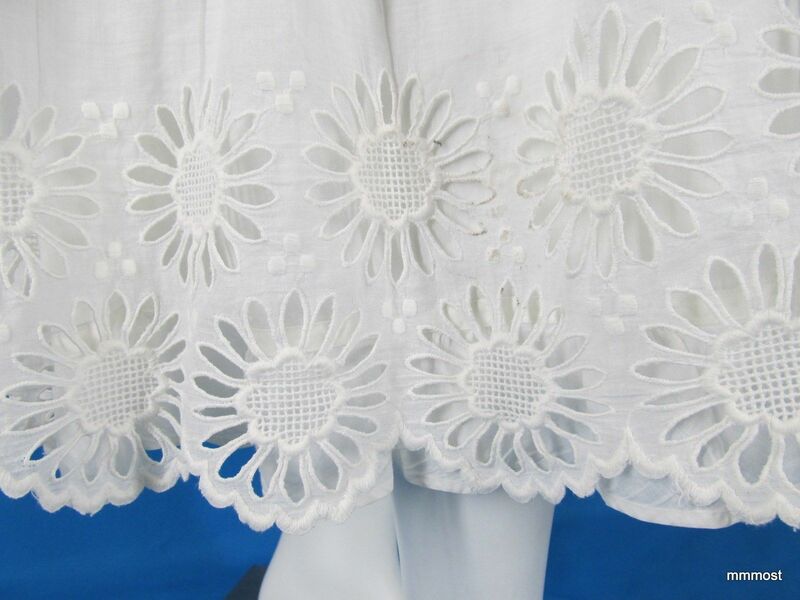 Lace on the front of the skirt. Watteau pleating in the back. 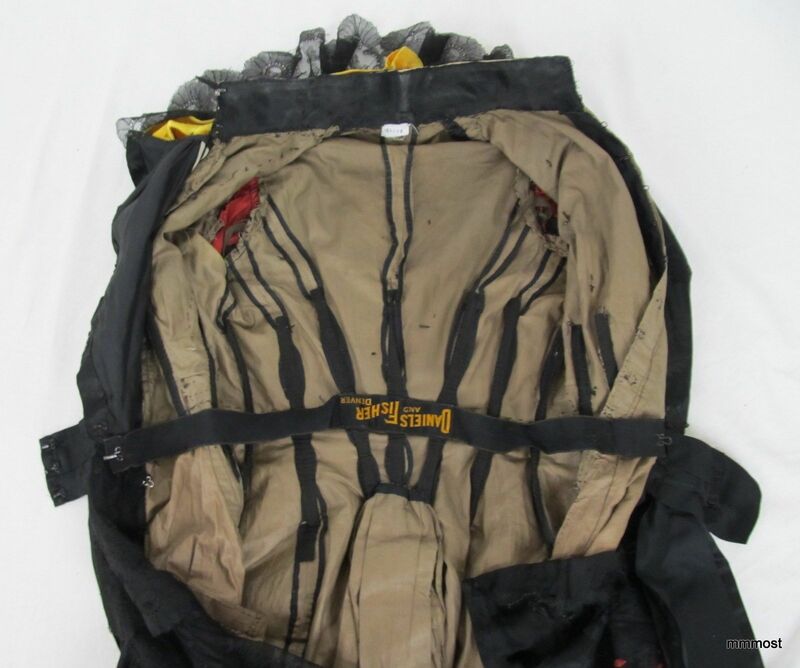 The belt is based about five inches out to keep it in place. It's lined in cotton. 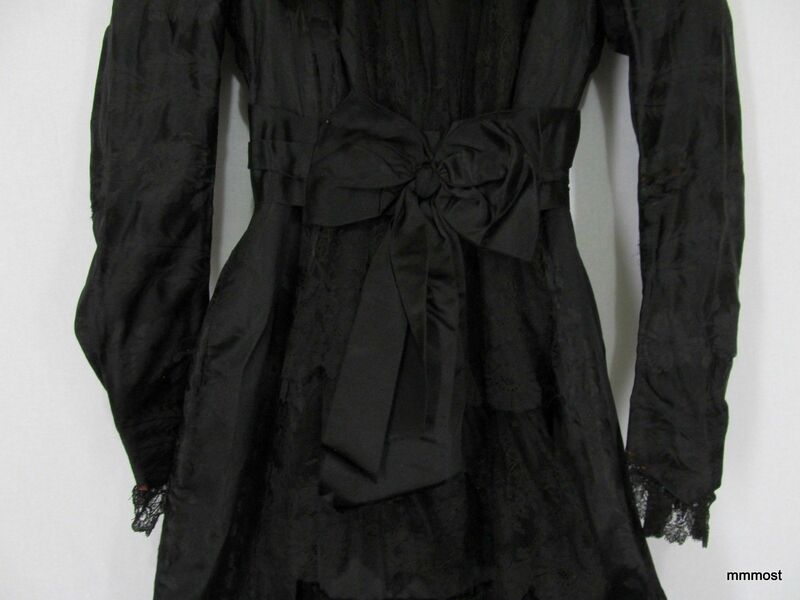 This is the back of the collar with the collar undone. 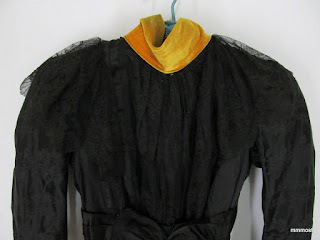 It's possible the hint of orange-y yellow velvet was added later but I doubt it. 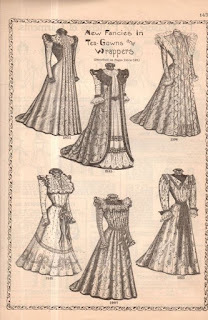 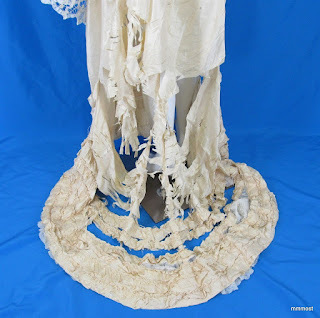 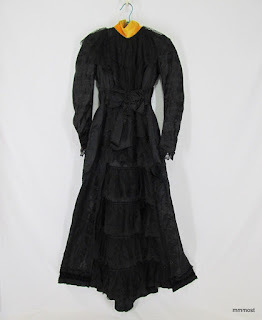 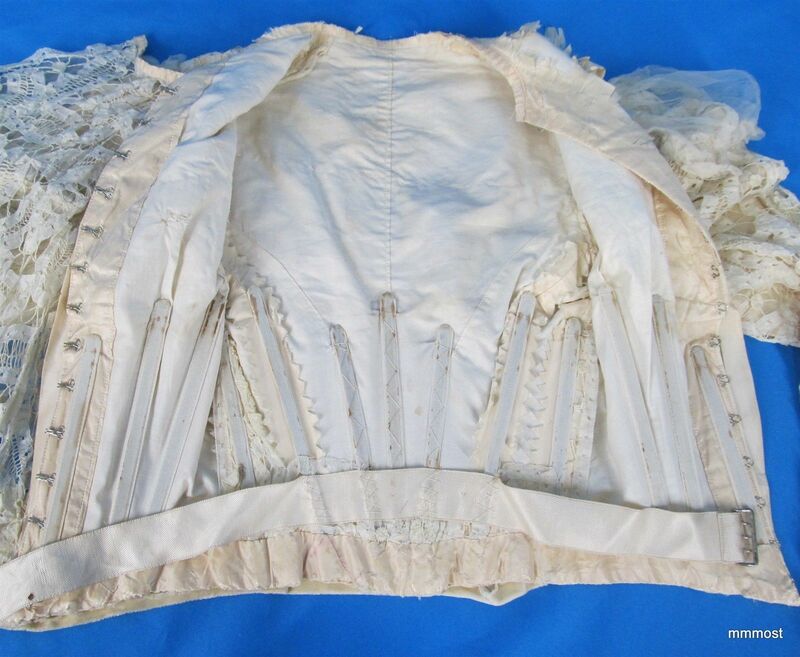 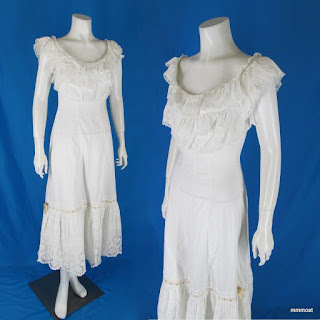 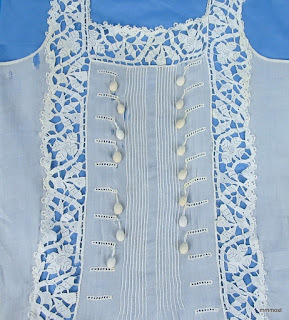 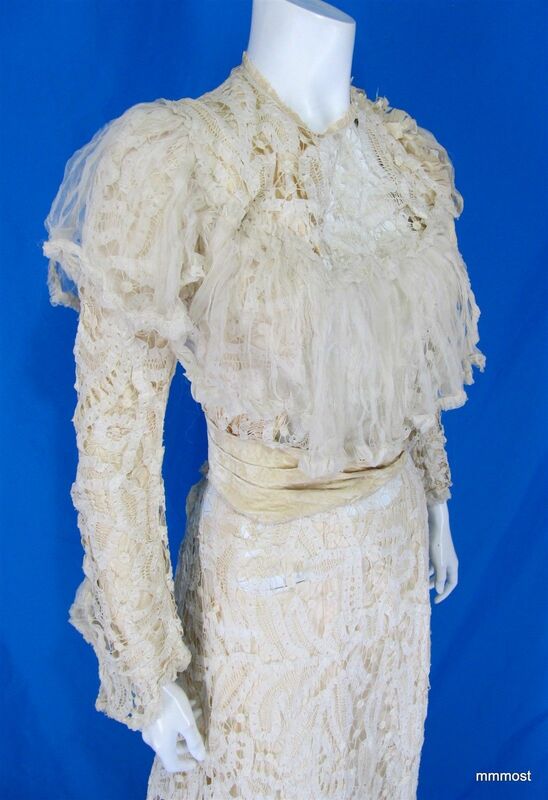 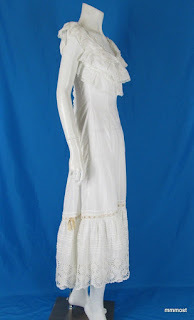 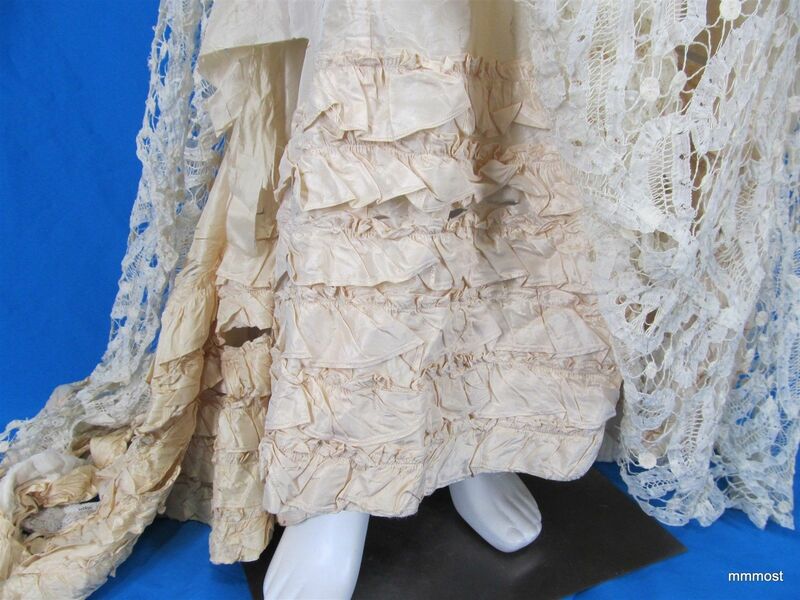 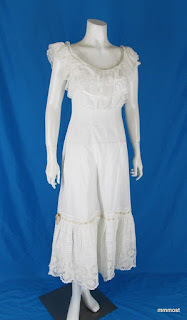 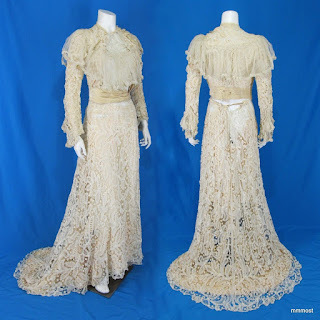 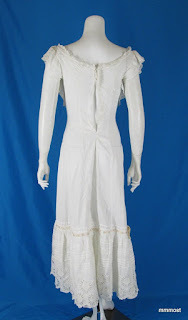 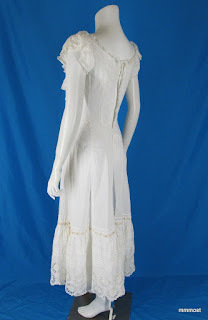 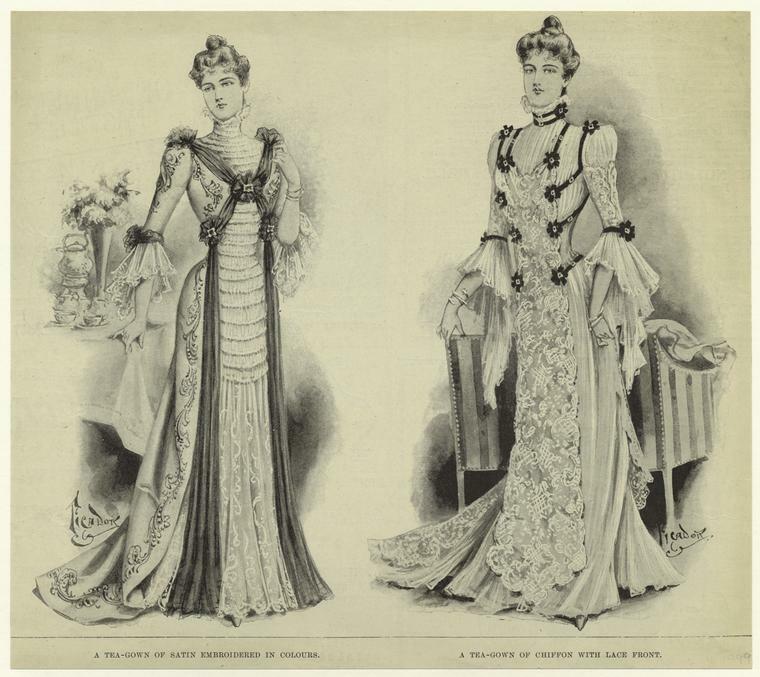 The way the belt goes up in the back is pretty common in the late 1890's tea gowns. 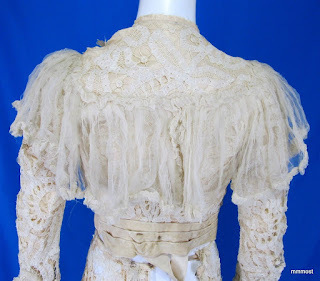 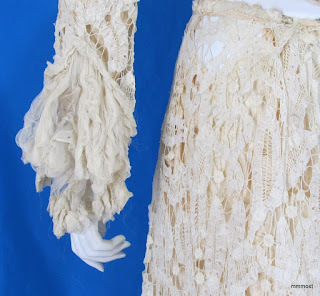 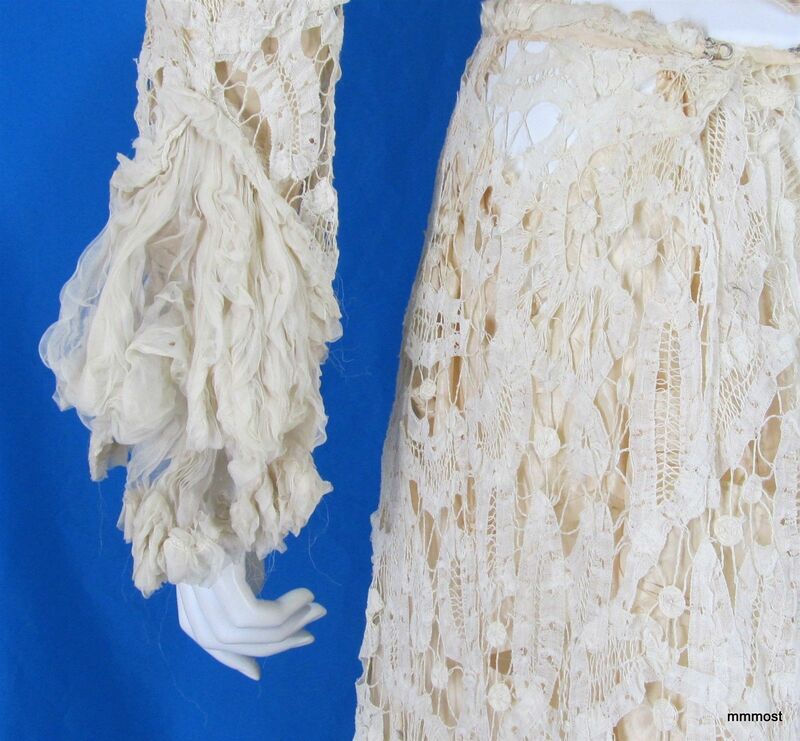 The sleeves still have a hint of puff at the upper back and the amount of lace that goes out over the shoulders would also be common then. 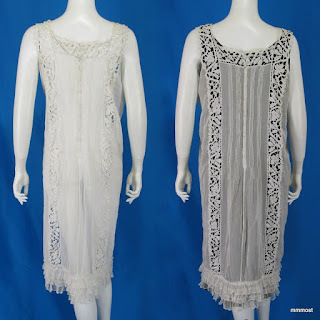 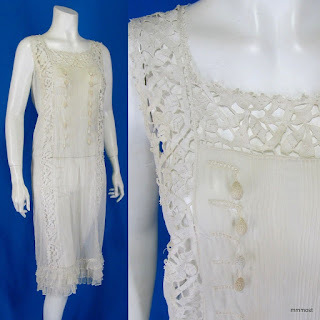 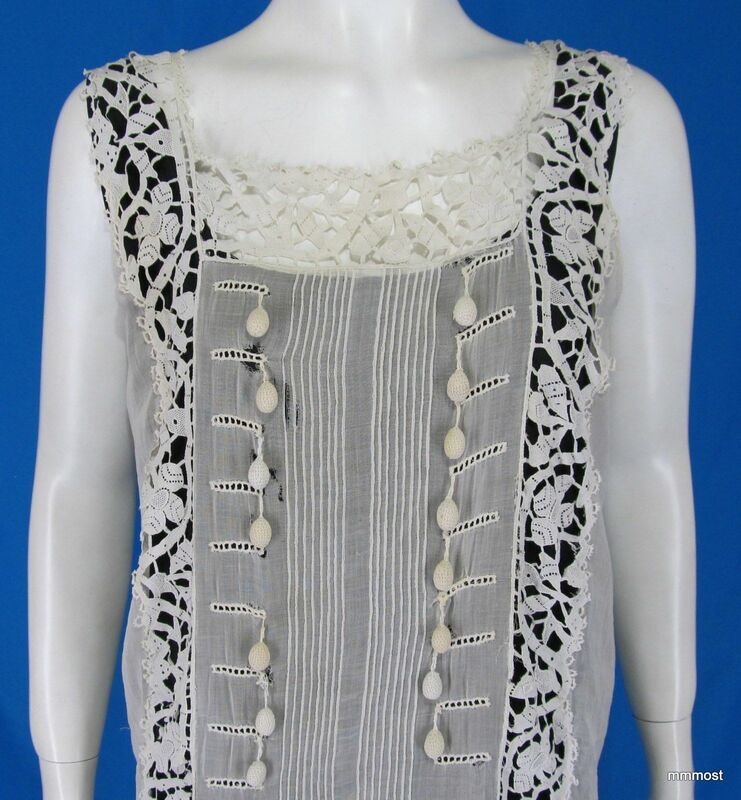 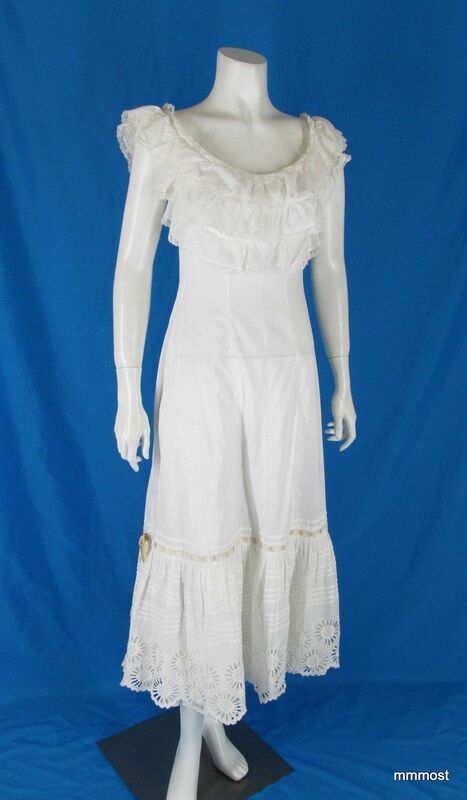 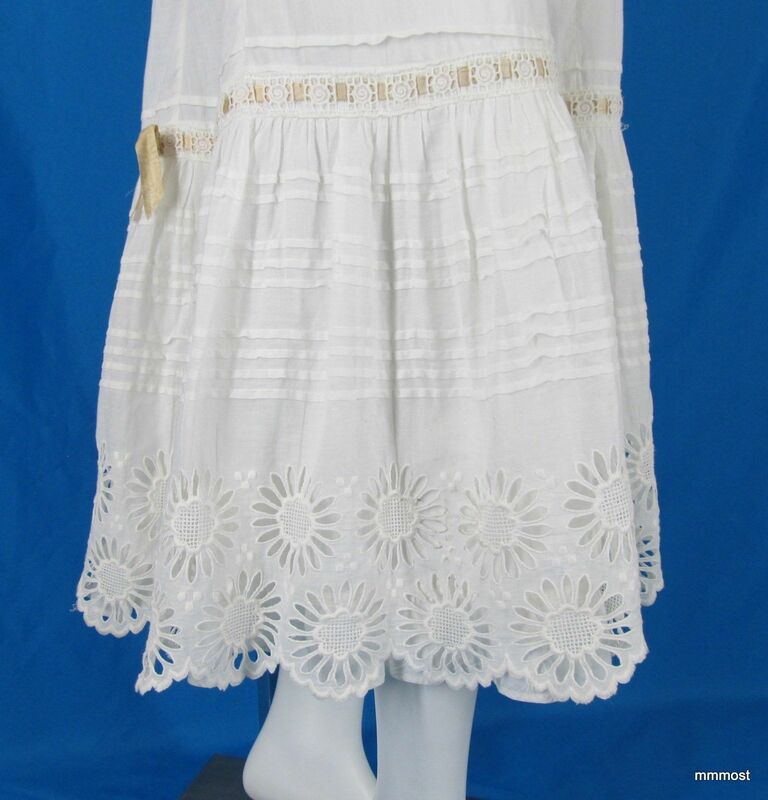 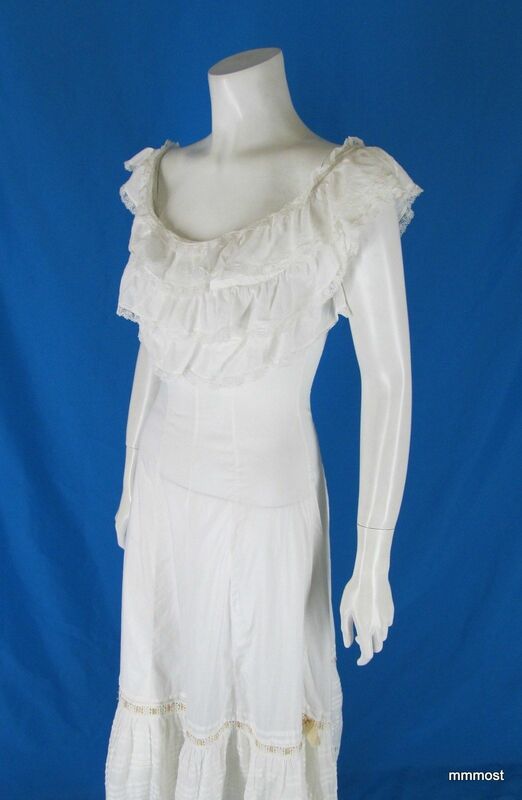 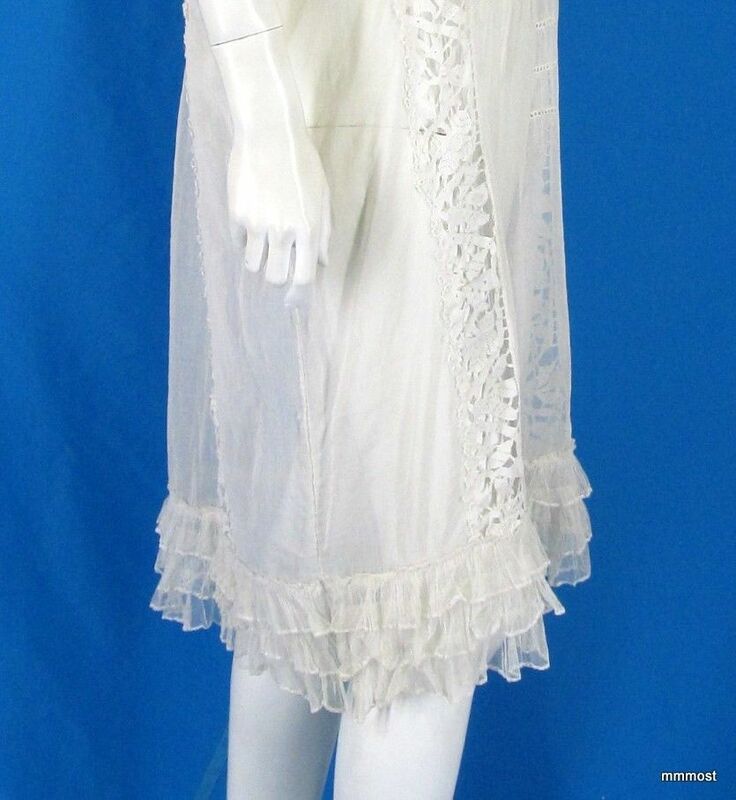 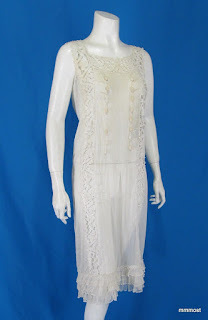 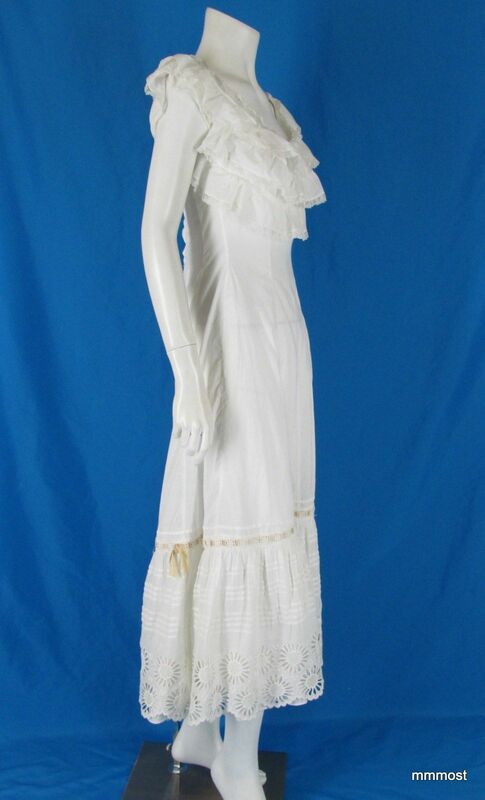 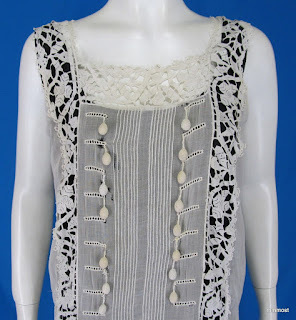 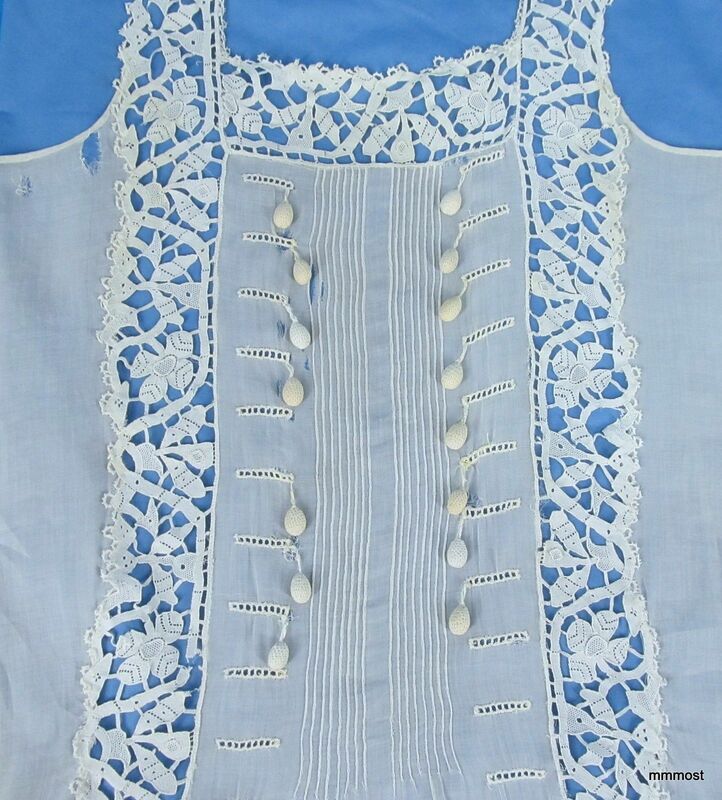 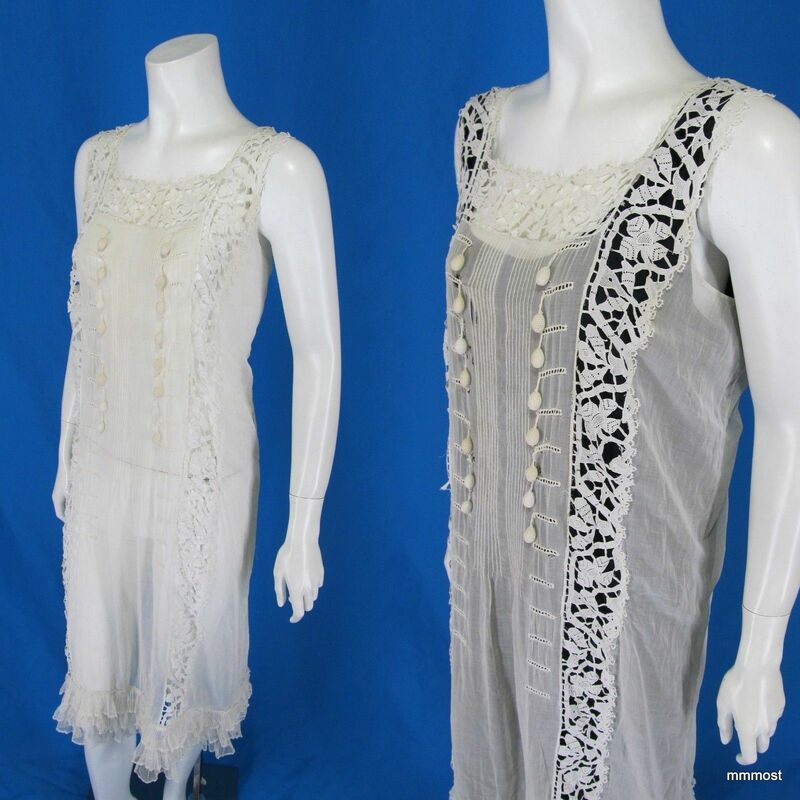 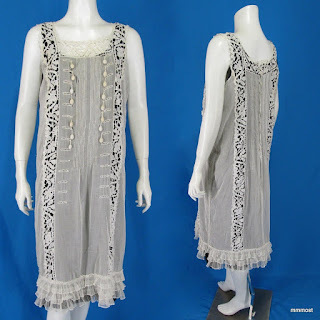 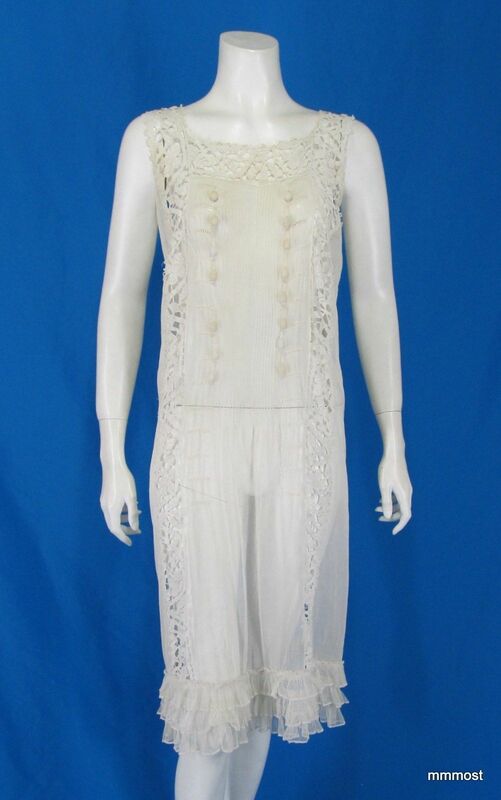 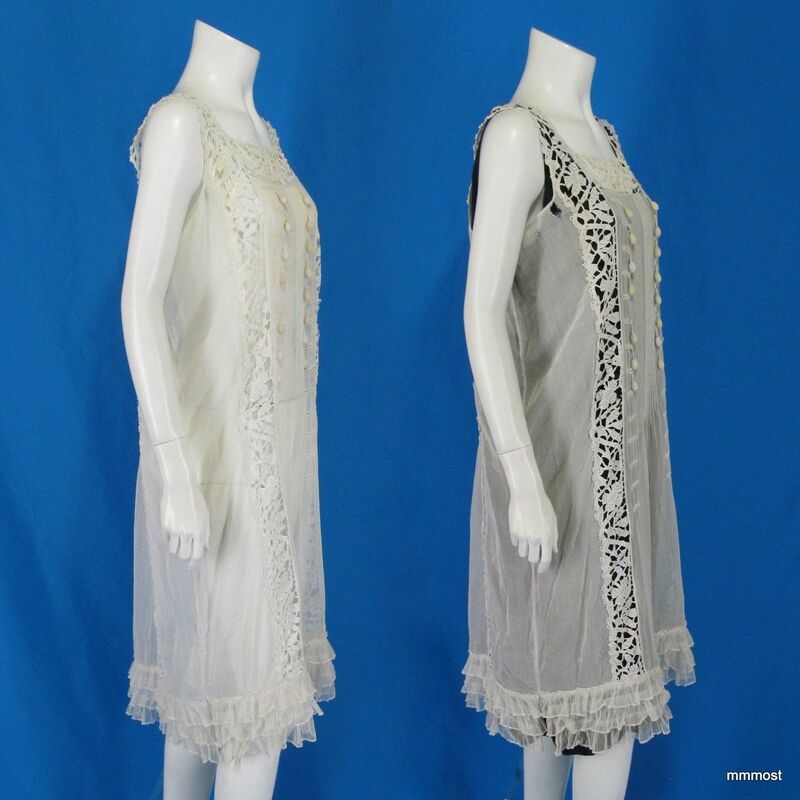 The slip is from the early 1900's, not 1910's as the seller suggests. 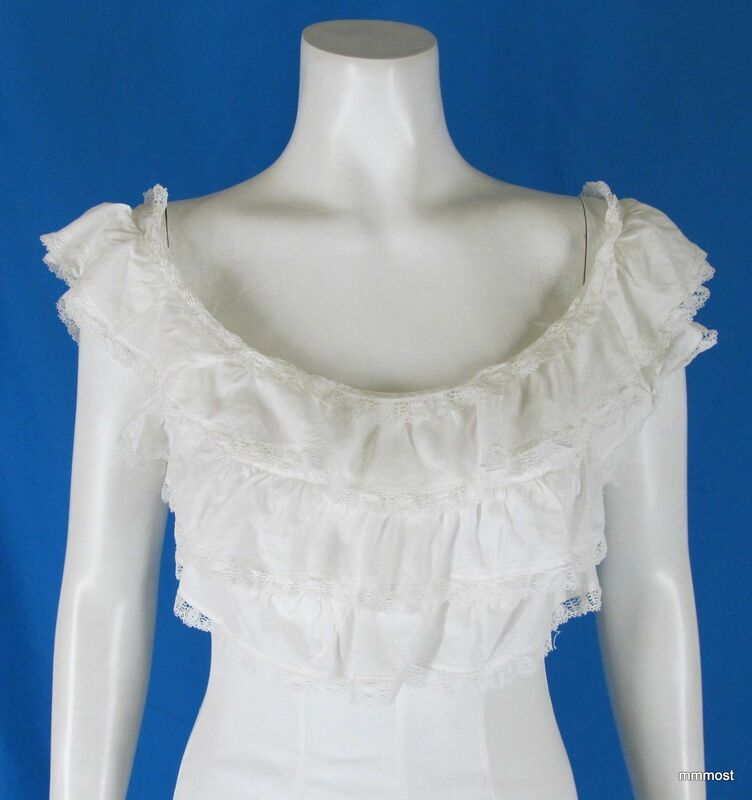 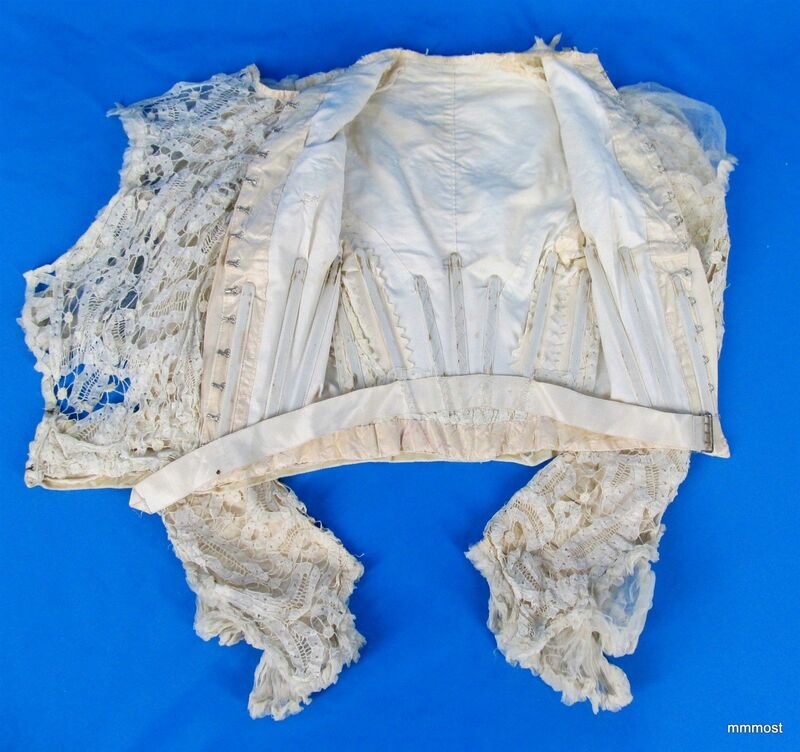 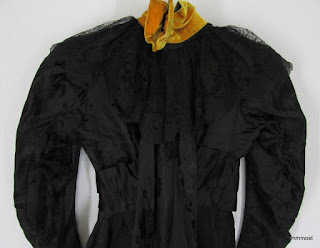 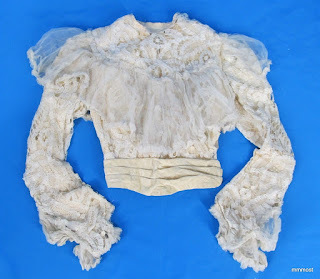 The biggest glaring reason for that is those bust ruffles - they were meant to help the blouse to puff out in the very popular pigeon breast look of the late 1890's into the Edwardian era. 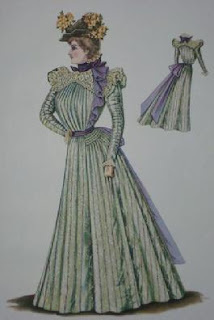 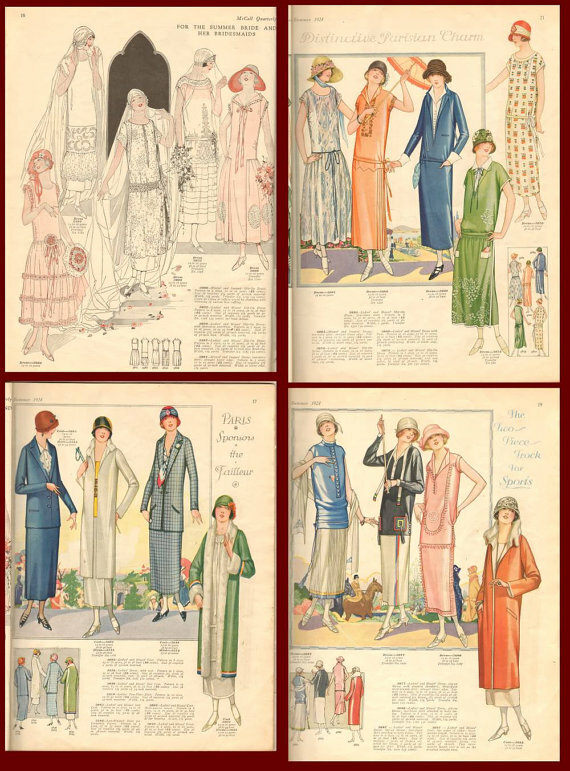 By the 1910's, the pigeon front had long been out of favor and there would be no need for the ruffles.